Husqvarna spring sale SC – why buy from Custom Golf Carts Columbia? Get a better looking lawn with less effort with Husqvarna products. Husqvarna spring sale SC is Custom Golf Carts Columbia & Outdoors favorite time of year! Custom Golf Carts Columbia is the #1 leader for Husqvarna sales, parts and service in beautiful Columbia, SC and the surrounding Southeastern states. 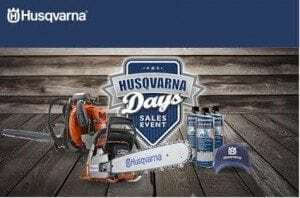 We offer a wide selection of new and used Husqvarna products, parts, service and accessories to meet all our customers’ needs at affordable prices. Offer valid March 1 – April 23, 2017. Join the revolution in lawn care with a Husqvarna 400 Series Automower®. It reduces the time, chemicals and care required to maintain a lush lawn. For a limited time, receive one bonus 115iL Battery Trimmer (battery and charger included)* when you purchase a qualifying Automower. *Valid at your local participating Husqvarna Dealer only. While inventory and supplies last. All models are not available at all dealers. Be sure to call or visit your local dealer for more information. Custom Golf Carts Columbia & Outdoors also has a wide variety of commerical and residential mowers, trimmers, clippers, zero turns and tillers to get your yard or business ready for Spring. Visit Custom Golf Carts Columbia & Outdoors today for our Husqvarna spring sale SC! See why we have 5 stars on Google and then visit us for our Husqvarna spring sale SC!